Why a Masters in Marine Affairs? We talk all the time about what we put into our bodies, but it always astounds me how little time we spend talking about what we put on our bodies. Given that our skin is our largest organ, you would think we’d give it a little more airtime. Unlike the food we eat, the products we use on our skin are wildly under-regulated. While the UK has banned over 1,000 toxic compounds from cosmetics, the US FDA has only banned eleven. 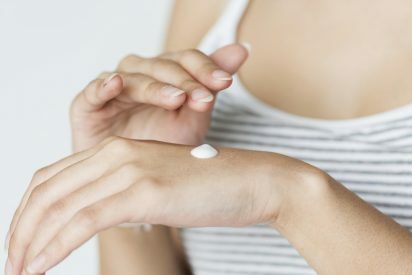 According to the FDA’s own website, they do “not have the authority to require cosmetic manufacturers to submit their safety data to FDA.” There is no regulatory oversight on words like “clean,” “natural,” “cruelty free,” or “non-toxic,” so companies often market such proclamations without backing them up. There is also no specification about to whom the product is “non-toxic” – the consumer? The environment? The product factory workers and residents living around the factories? How do you define clean beauty? When I polled my friends on Instagram about their favorite clean beauty products, I was shocked to hear them singing praises for brands like Glossier. 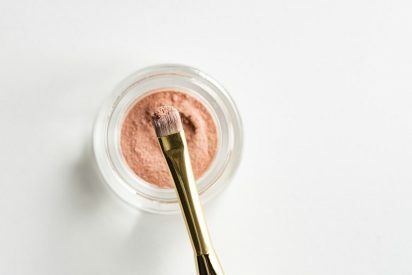 When I asked why the brand made their clean beauty lists, most friends admitted they “just assumed” based on packaging design, marketing aesthetic, and their “no makeup” look, that Glossier had commitments to clean beauty. In reality, they have almost none, other than compliance with laws already in place. Even more, an interview with Glossier CEO Emily Weiss notes that she “just doesn’t think her customers care about ingredients if they’re happy with the results.” Yikes. Other companies are even bigger offenders when it comes to false marketing and toxic ingredients. People are always shocked when I point out that Burt’s Bees is owned by Clorox. While the brand maintains sustainability initiatives and is bringing that energy to their parent company, some customers still feel duped after realizing their favorite “natural” brand is owned by a chemical giant. 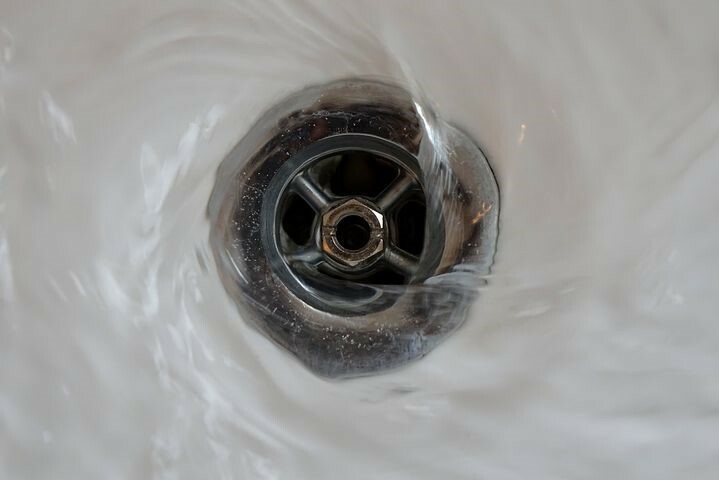 Water treatment plants don’t remove the chemicals from cosmetics that we wash down our drains every day. These chemicals can be toxic to marine organisms. This is why the “clean” beauty line gets a little fuzzy. While most “clean” beauty products avoid parabens and sodium lauryl sulphate (SLS), that’s about where the consistency ends. That’s why right now, when it comes to “clean” beauty, it’s up to the individual customer to determine what the term means for them. For some, clean beauty may just be about avoiding potentially toxic chemicals, while for others it may go beyond that to include animal, social, and environmental welfare. 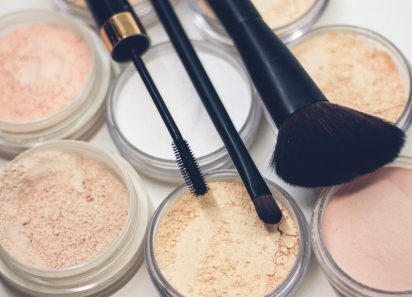 Those who consider all the above in their quest for clean beauty recognize that the cosmetics we use have the power to harm more than just our own health. Every time you wash your face or take a shower, the cosmetics you use are being washed right down the drain. Water treatment plants don’t filter out chemicals or microplastics, which means that the products you’re using end up in the marine environment. Phototoxic sunscreens (like oxybenzone) act as endocrine disruptors and have been found to cause mortality in corals even at nearly imperceptible concentrations in the ocean. The triclosan in your antibacterial soaps and toothpaste also acts as an endocrine disruptor, this time in fish. Synthetic musks in your perfumes and soaps have been found in water and soils in the Great Lakes. The BHT widely used as a preservative in your lipsticks and moisturizers can bioaccumulate to toxic levels in marine organisms. Do you think about animals that rely on clean water when you buy beauty products? The harm doesn’t stop there. Production and packaging of cosmetic and personal care products utilize scarce natural resources and contribute to pollution of our air, land, and waterways. Some members of the industry claim to be working toward innovation in packaging and emissions reductions, but there is still massive room for improvement. While life-cycle analyses are challenging to conduct, they can shine much needed light on aspects of the supply chain that warrant most urgent attention. When it comes to clean beauty, read labels, do your research, and be skeptical of brands that talk the talk unless you know they’re walking the walk. In the unregulated and complicated world of beauty products, it’s hard to know who to trust when setting out on a mission to buy “clean.” Though not free of criticism, the non-profit Environmental Working Group’s (EWG) Skin Deep web tool and Think Dirty are at least a place to start. Credo, Beautycounter, The Detox Market and Sephora’s “clean” shop all have information about their definition of “clean” beauty and products for purchase should their definition line up with your own. While research can be done online, consider buying products in stores to cut down on shipping emissions and packaging waste! This is not to say that you should go purge your bathroom cabinets right now (again, more waste isn’t the answer!). Use up the products you have, decide what “clean beauty” means to you, and consider buying safer, healthier alternatives next time. Most importantly, be a critical consumer and don’t give into greenwashing – read labels, do your research, and be skeptical of brands that talk the talk unless you know they’re walking the walk.